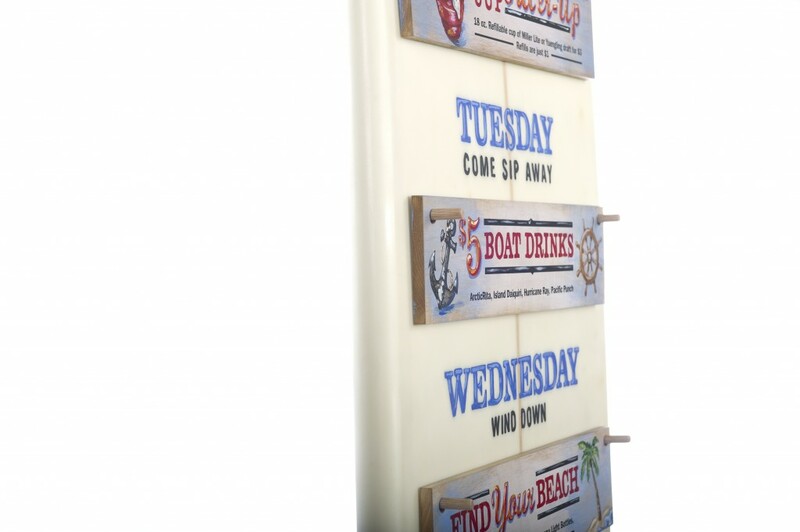 When Ruby Tuesday asked us to develop a happy hour sign concept for their Marlin & Ray’s seafood restaurant chain, we saw an opportunity to do something extremely unique. The only parameters were that the drink specials could be changed or rotated from week to week. 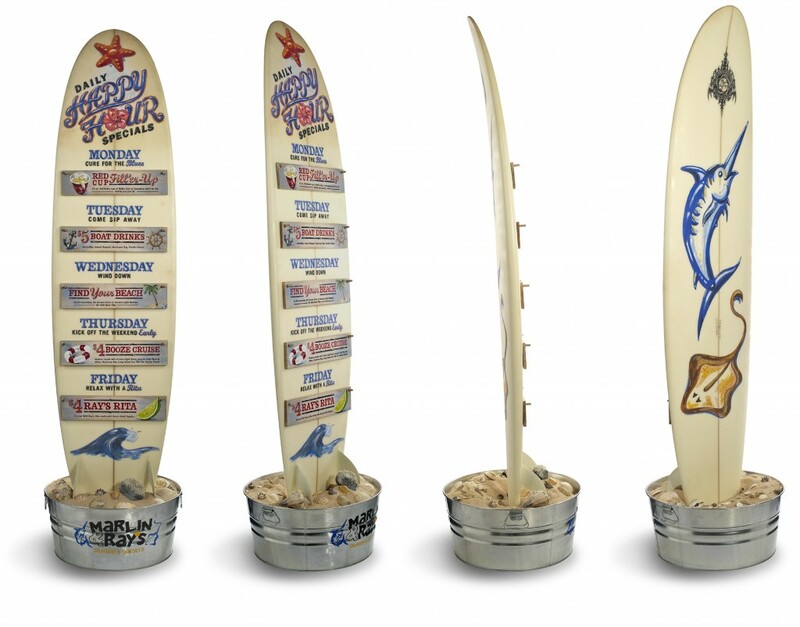 After several prototypes, we decided to go green and recycle a used surfboard that had seen better days. 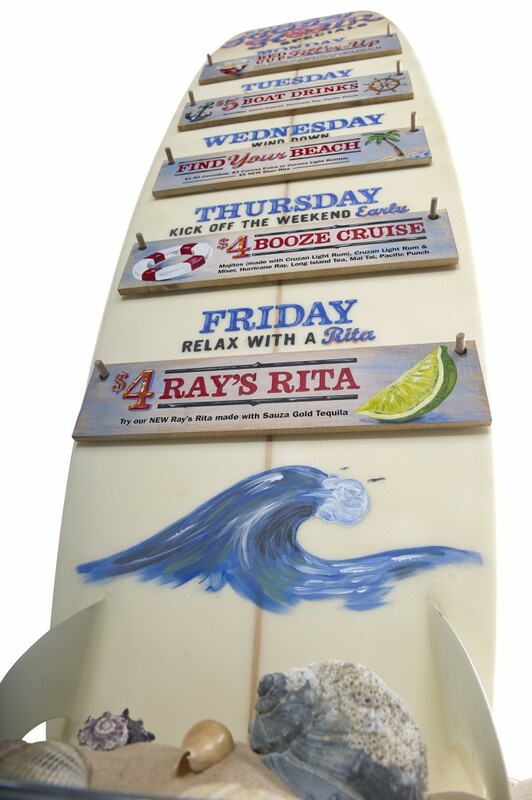 Staying true to the Marlin & Ray’s feel, the board and individual drink signs were hand-painted. A wooden dowel system was created to allow the drink boards to change as needed. A sand-filled galvanized tub, with a hidden pinch locking system, was used as a stand for the piece.